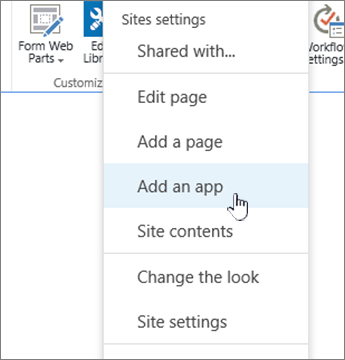 How do I create a simple user form in SharePoint 2016? 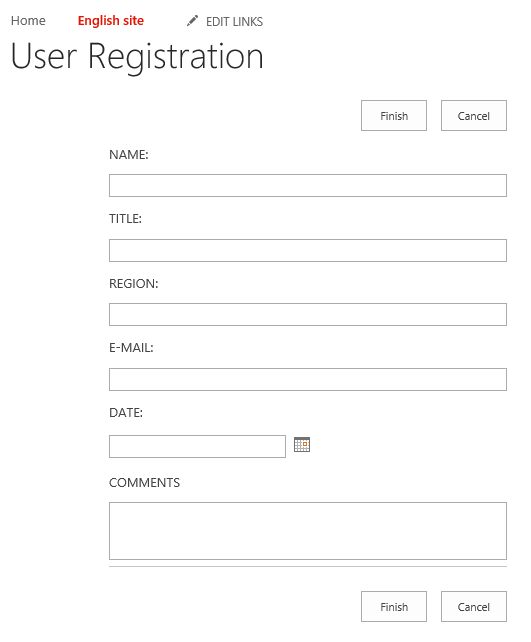 I want to create a simple user form in Sharepoint 2016 that has below details. When a user clicks submit, it should send mail to a group of people. No code, no workflow solution? You can create ordinary custom list or better Survey type list (Site Contents > add an app) with any custom fields (Ribbon menu List > Create column) or questions (Settings > add new Question) you want to have like Name, Title, Region, etc. Then create alert e-mail notification for every new item, that appears in a view. The good thing is, read and edit rights there can be assigned to the user who create an item only (cannot read other's responses) and for the Survey you can allow or deny multiple responses if needed. Also branching logic with no code can be used there. For example if User A select region A, you can display different set of fields (questions) for him than for Region B. Both lists can export responses like report in Excel. 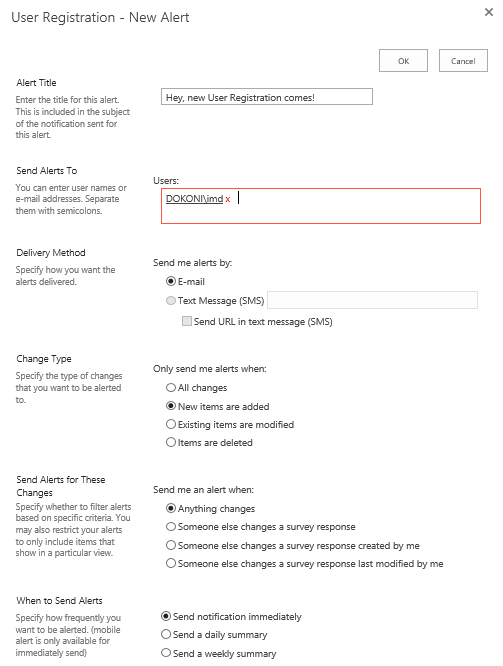 Alerts can be assigned to e-mail enabled AD group, per unique user or more users if you want to, like for any other SharePoint list. You can find them inside Ribbon menu for list itself (custom list) or inside Actions for Survey. So, user navigate to the page with instructions, click on the button, fill the form (respond to survey), submit the form and will be redirected automatically back to original page without unnecessary mouse-clicks. Site setting > Add and APP. 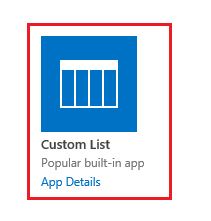 Select custom list > provide its name. Add your columns with its data type as you prefer, by clicking on Create a Column. Create a notification email workflow. Go to workflow, From the above ribbon, select List workflow > select you newly created list. 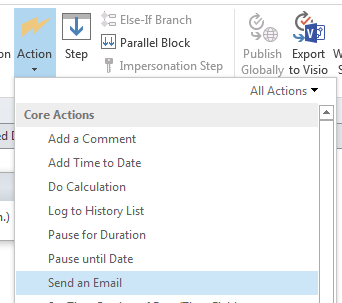 From Actions> Select Send An Email action. Click on Users > and select WorkflowLokkup for User > select the list that contains the user and group field. In start option, Make sure to check Start workflow on item created. Not the answer you're looking for? Browse other questions tagged sharepoint-online sharepoint-designer office-365 custom-form 2016 or ask your own question.